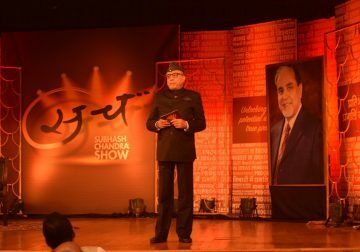 In this episode of the Subhash Chandra Show, Subhash Chandra guides youngsters on the topic, “How to select your role model in life”. 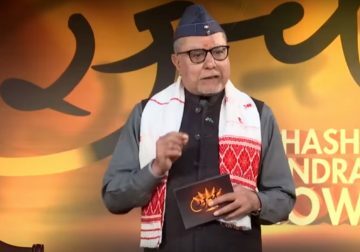 In one of the previous episodes, Subhash Ji had spoken on the theme “Being your own Coach”. 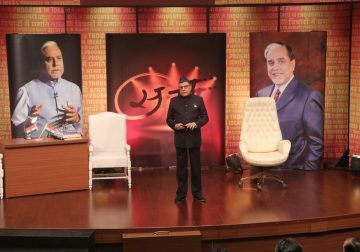 Going forward from there, in this episode of the Subhash Chandra Show, Subhash Ji asks whether it is necessary to have someone as a role model, or shall one become his or her own role model. Or can one’s parents be good role models? 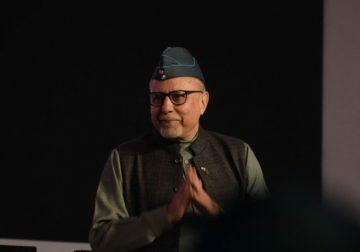 Subhash Ji highlights how India lacks real role models in today’s times, and that there is no one like Mahatma Gandhi and the great leaders of yesteryears that we had, especially before independence. He speaks about the qualities of a true role model – a person who you admire and want to emulate. A Mineral human being is the one whose goal is only to think about himself and work for his own happiness and nobody else’s. Such people are totally self-centred and even their family does not matter to them as much as their own self. A Vegetable human being is the one who thinks about his or her family and relatives, but his life is limited to it. An Animal human being is the one who thinks about his or her country and community or caste and again, their life is limited by this aspect. A Human human being is the one who thinks about the entire world’s well-being. Subhash Ji explains that a “Human human being” is one who you can consider as a good role model. 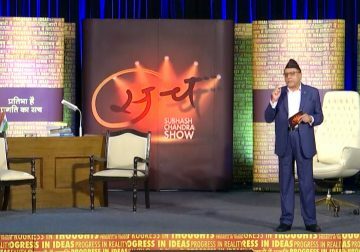 An audience member who is a mother says she wants to emulate her role model, who is her uncle, but cannot be like him totally, as she has to take care of family. So, there are limitations. Subhash Ji guides her to have faith in her herself and her role model. Choosing the right role model or changing him / her is very important, he says. Change him if you feel he is not right for you at a particular time. 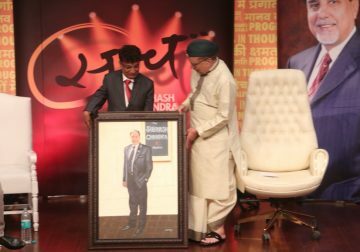 One of the special guests on this episode of the Subhash Chandra Show is Shri Nilesh Mandlewala, President of Donate Life foundation, a non-governmental organisation (NGO) in Surat that encourages organ donation. 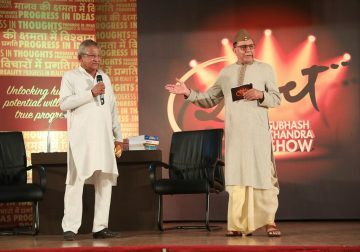 He speaks about the difficulties in convincing the mostly religious people of India to register as an organ donor to help save lives. He also enlightens people about The Human Organ Transplantation Act (HOTA), 1994, in India. 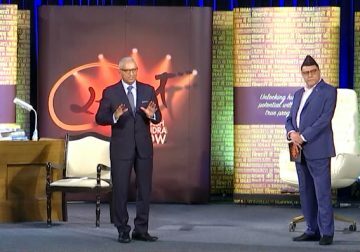 The other special guests on this episode of the Subhash Chandra Show are the Sheth Brothers consisting of Shri Mohit Sheth and Shri Tejas Sheth, the third generation of the business family. They are manufacturers of the popular Ayurvedic medicine Kayam Churna and reveal their role models and why they look up to them. This episode first aired on 15 July 2017.